Donald Macleod explores how Elgar's music was influenced by the landscape of the Malvern hills, where he set up home in 1891. In 1891, Elgar and his wife returned from London to set up home in the shadow of the Malvern hills. 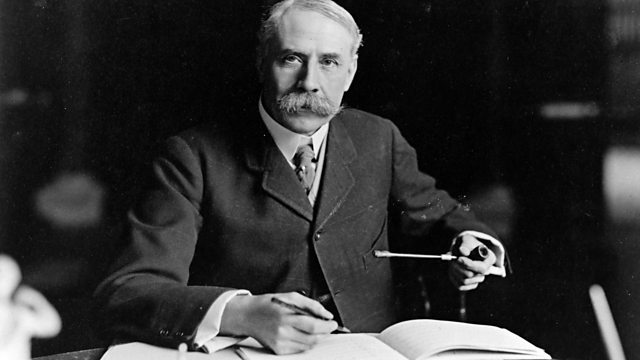 Donald Macleod explores how Elgar's music was influenced by the landscape around him. Singer: Judith Howarth. Singer: Linda Finnie. Singer: Arthur Davies. Singer: John Shirley‐Quirk. Choir: London Symphony Chorus. Orchestra: London Symphony Orchestra. Conductor: Richard Hickox. Performer: Marat Bisengaliev. Performer: Benjamin Frith. Singer: Judith Howarth. Singer: Arthur Davies. Singer: David Wilson‐Johnson. Singer: Alastair Miles. Singer: Stephen Roberts. Choir: London Symphony Chorus. Orchestra: London Symphony Orchestra. Conductor: Richard Hickox. Singer: Felicity Palmer. Orchestra: London Symphony Orchestra. Conductor: Richard Hickox.